I know the title doesn’t mean much but I had a yen for alliteration. What it means is that I have finished the highest possible level of the Aussie Author Challenge (8 books by Aussie Authors during 2010). And it’s only July. I have a swag more books by Aussies sitting very close to the top of the TBR pile so this is by no means the end of my aussie reading for the year. Stay tuned. This entry was posted in Adrian Hyland (Aus), Aussie Authors Challenge 2010, Brian Kavanagh (Aus), Colleen McCullough (Aus), Kathryn Fox (Aus), Leah Giarratano (Aus), list, Malla Nunn (Aus), memes and challenges, Michael Robotham (Aus), P D Martin (Aus). Bookmark the permalink. Well done Bernadette. And a good range there too. What a good one to finish with. Great list! Now to try to find them in the U.S. or Book Depository. “Gunshot Road” is at the top of my TBR pile. 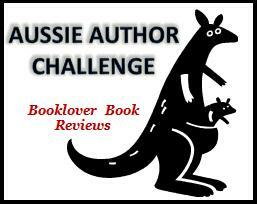 Thank you so much for participating in my Aussie Author Challenge Bernadette! Look forward to continuing to read more of your great reviews of Aussie lit during the coming months, and hope you can join us in the challenge when it’s relaunched with a twist for 2011!